with Susan Q. Driscoll, M.A. Smeeta's offers regular classes that are sure to uplift the mind, body, and soul. These are typically weekly, bi-weekly, or monthly classes. They are made to teach, relax, lower stress, and uplift. Please check the events for upcoming and reoccurring classes. We are proud to offer workshops to help perpetuate healthy lifestyles and quality of life. Our workshops typically run from a couple hours to a full day depending on the subject matter or discipline. These are practitioner led and are on site or off site. Please inquire below if you are interested in a particular area, or to check on our schedule of upcoming workshops. Our retreats are held off site and are usually 1-3 days depending on the agenda and focus. 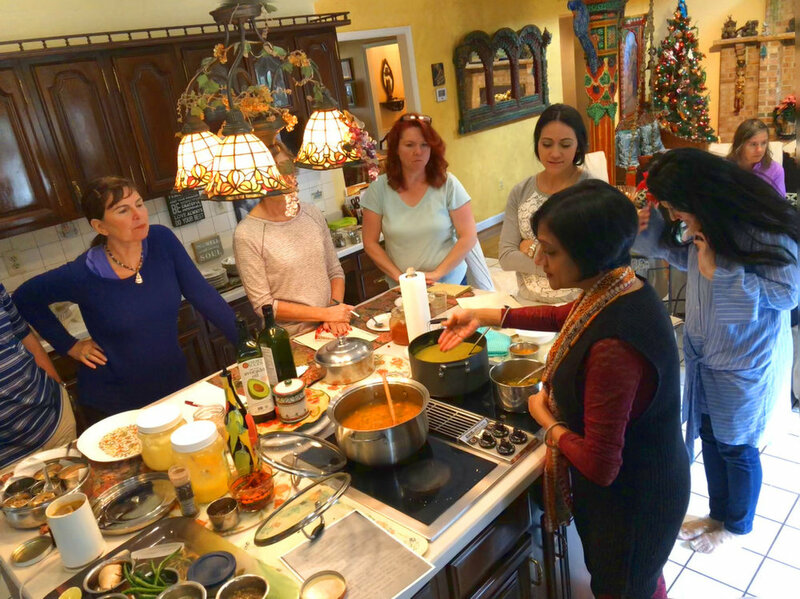 Retreats will contain multiple workshops that range from nutritional, healthy cooking, to meditation, massage, spa to seminars and knowledge transfer for healthy living. We urge you to gather up your friends and submit a request below for a specific type of retreat and / or area of focus. Let us line up all practitioners, speakers, and add a few workshops to invigorate the mind, body, and soul. Use the below form to request a schedule of upcoming retreats. Lisa Karasek, TRE® Certified Facilitator - offers a unique and comprehensive approach to your overall Health and Well Being. Specializing in being present with, and overcoming emotional and physical resistances - through Tension Release Exercises. Lisa is an important practitioner bringing forth a paradigm shift around Mind-Body-Spirit Coaching. Lisa is dedicated to being present with and overcoming psychological, emotional, and physical resistances through lifestyle coaching and tension release. Lisa also provides intuitive readings and energetic healing. The Heart Sound Recorder is a computer-based low risk general wellness monitor which uses the principles of auscultation to observe heart sounds. During this non-invasive procedure a specialized microphone is placed over each of the four valve areas of the heart while graphing the sound and movement. The heart’s reaction to certain stressors, (i.e. chemical, nutritional, and emotional), can be observed using this type of device. Certain types of heart stress can be monitored by observing the RATE, RHYTHM, and TONE of the heart cycle on the graph. ♥ Your nervous system controls the RATE at which your heart beats. One side of your nervous system (sympathetic) manages your “fight or flight” response and can accelerate your heart rate. The other side (parasympathetic) manages your “rest and digest” response and can slow your heart rate. You need a healthy balance between the two. ♥ The RHTHYM of your heart should show a specific work to rest ratio on the graph. Your heart should be resting twice as long as it is working. Observations are made to see if your heart is working too hard, or not working hard enough. ♥ The TONE of your heart is referring to the strength of the ventricles as they push blood through your body. The height and the width of the ‘lub dub’ sound your heart makes on the graph, shows how efficiently your heart is pushing blood through your body and refilling to prepare for the next cardiac cycle. The Heart Sound Recorder can be an important tool in evaluating your overall health and then in following the progress you are making when under proper wellness care. Making changes to your stress level, diet, lifestyle, and nutritional status will provide you with greater endurance, ability to rest, and overall wellbeing. Do not eat or drink caffeine 2 hours prior to the test as sounds of digestion can mask a solid reading of the heart. As with any wellness device, recommendations for lifestyle changes implied by using this technology should be undertaken only with the guidance of a licensed physician, therapist, or holistic healthcare practitioner. The findings from this device can be used to support, but should not be used in place of medical therapies and recommendations of your medical professional. 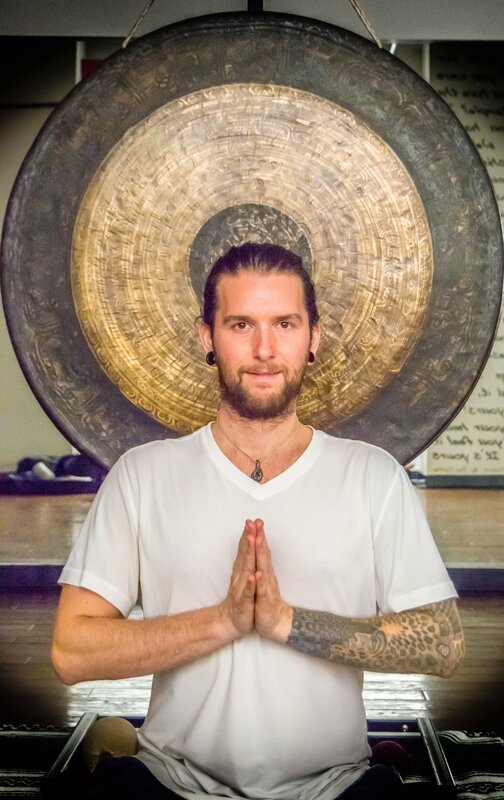 A gong bath meditation is an ideal tool for stress reduction, stimulation of the glandular system and serves as a facilitator to break up emotional, physiological and spiritual blockages. Sound and music are nutrients for the nervous system. The gong can empower health, learning and productivity. The gong resonates all 30 trillion cells of the body! Meditation. Sound is a vibration that causes resonance and rhythm in our bodies, touches us and influences our emotions like nothing else. The gong is one of the oldest therapeutic instruments. Yoga Nidra - Some of the gong workshops will add Yoga nidra which is a practice that can take you to a relaxed body, fluid mind, and supercharged intuition. It incorporates meditation on the breath, the balancing of emotional states, visualization and self-healing. It is said that 45 minutes of Yoga Nidra is as restorative as 3 hours of sleep. Yoga nidra is translated as "yogic sleep." This state of consciousness (yoga nidra) is different from meditation in which concentration on a single focus is required. 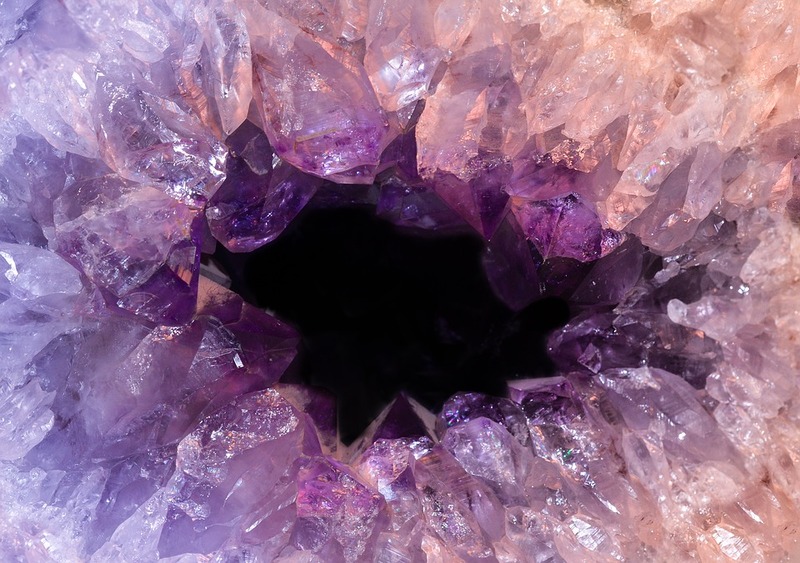 In yoga nidra the practitioner remains in a state of light pratyahara with four of his or her senses internalised, that is, withdrawn, and only the hearing still connects to the instructions. The yogic goal of both paths, deep relaxation (yoga nidra) and meditation are the same, a state called samadhi. The practice of yoga relaxation has been found to reduce tension and anxiety. The autonomic symptoms of high anxiety such as headache, giddiness, chest pain, palpitations, sweating and abdominal pain respond well. It has been used to help soldiers from war cope with posttraumatic stress disorder (PTSD). Restorative Yoga is a gentle, healing approach to yoga that is designed to release deep layers of tension stored in the physical and energetic body. A combination of props, essential oils, and hands on adjustments are used in poses for extended periods of time, allowing the nervous system to relax and cells to regenerate. Restorative Yoga is great for all levels, giving attention to each individual's unique range and anatomy. A sacred space is created for you to experience inner silence, deep relaxation, balance, and connection. “Martin” is an ancient messenger, a representative of the Universal Source, who has chosen to make his message known on earth today through intuitive counselor, Susan Driscoll. The time is right, Martin explains, for us to be reminded of our divine origins and potentials, and of the true meaning of the challenges humanity faces during this time of significant change. Channeling is a process that allows energies from a higher source to speak through an individual to convey information. This experience is especially helpful to those who see insight for everyday challenges such as career choice, interpersonal relationships, health, goals, and finances. Additionally, questions concerning the spiritual realm are also answered. These can include past life experiences, messages from spirit guides and departed loved ones, karmic lessons and spiritual missions. Sessions with Martin are always informative, lively and interactive. 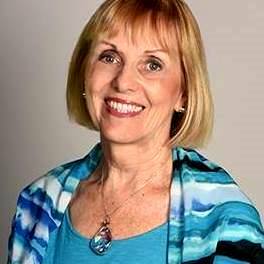 Susan Q. Driscoll, M.A., is a practicing intuitive channel, counselor and teacher. She has a private practice in Montgomery Village, Maryland, a Washington DC suburb. Susan has traveled and held channeling sessions in various parts of the country, and is also accessible for phone consultations. Private channeling sessions are followed by an integrative / interactive counceling session. The session is recorded and you are provided with a CD or link. Bring your questions and an open mind. Visit our office in Maryland, or receive your consultation on the phone from anywhere in the country! For more information, go to www.martinsmessages.com. Clearer. Brighter. Lighter. Your life in high resolution. The Standard Process Purification Program helps your body purify and rebuild itself from the inside out. The program gives you a structured plan for purifying, nourishing, and maintaining a healthy lifestyle. Along with Standard Process supplements, you’ll support your major organ systems with the vitamins, minerals, and other nutrients found in whole foods. In addition, this program supports the maintenance of healthy weight when combined with a healthy lifestyle. When you’ve completed the 21-day purification program, you’ll be amazed at how good you find yourself feeling. You’ll learn how to transition to a new, healthful way of eating that will continue your journey toward a clearer, brighter, lighter way of life now and in the years ahead. Gathering around the Pachakuti Mesa(sacred shamanic altar), we will open beautiful and safe space to listen in new and profound ways to the spirit of socalled ‘inanimate’ objects. 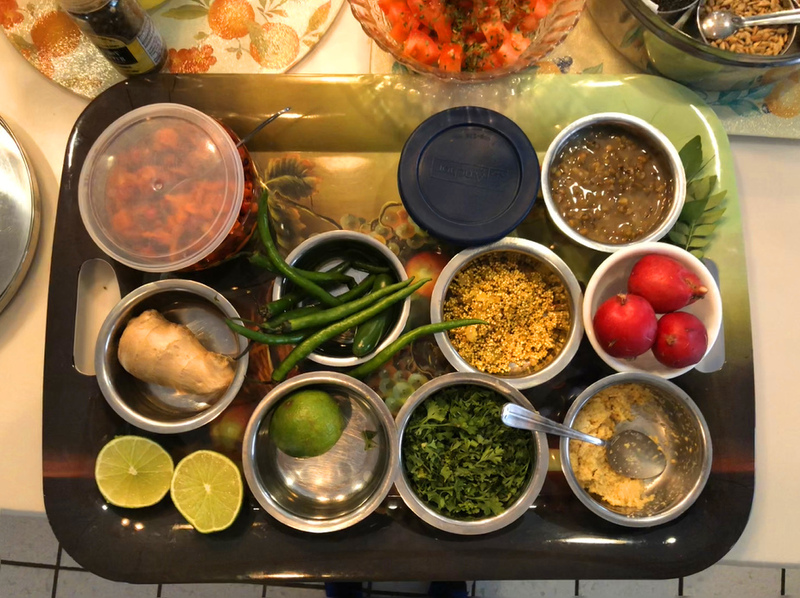 Shopping: Learn how to shop in an Indian Grocery Store. 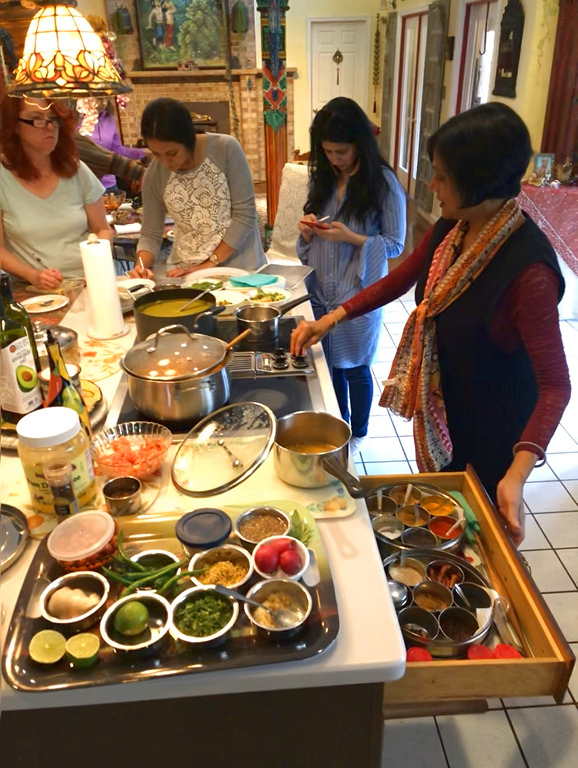 Smita will take us through the store showing us the best products to purchase and their Ayurvedic value for our cooking needs. Check out the Events schedule to find the next workshop. We hope to cook with you soon. Contact us to get more information on our Spiritual & Nutritional Workshops, Classes, and Retreats ...or to request one. Please let us know if you have any questions, suggestions, or requests. We will contact you as soon as we can.